IRCTC or Indian Railway Catering and Tourism Corporation is offering an air tour package to Thailand starting from Rs 40,990 per head. 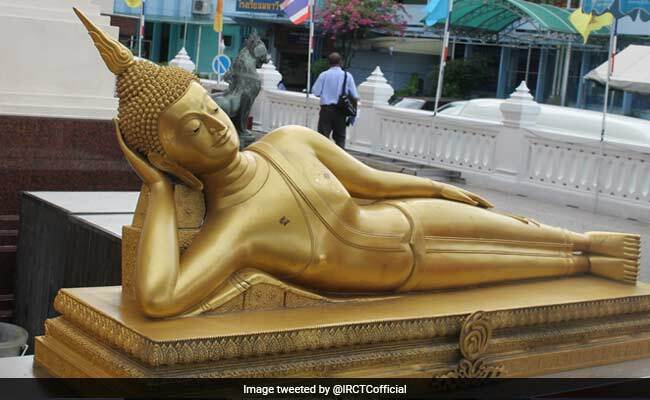 "IRCTC Zonal Office, Mumbai offers 'Treasures Of Thailand' one of the most affordable all-inclusive tour packages, covering the mesmerizing attractions and Islands of Bangkok," IRCTC said on its website - irctctourism.com. IRCTC's package to Thailand is scheduled for July 14, 2018 and September 28, 2018. The tour includes stay in three-star hotels, according to the IRCTC website. The Air India flight for Thailand will depart from Mumbai. The rates are valid for Indian Citizens/India passport holders only. Child fare of age 0-2 years should be deposited in cash by customer at IRCTC office at the time of booking. IRCTC will process the Thailand Visa from India, However due to late booking of the package if the same will not process in India then on arrival Visa will be issued at Bangkok Airport. At the time of issuance of visa, additional THB1000 is to be borne by the tourist at Bangkok Airport, said IRCTC. IRCTC Thailand air tour package includes return airport transfers, return air fare on Air India, normal visa charges, meals: (American plan (5 breakfast, 5 lunches, 4 dinners); and all transfers will be by AC 2 X 2 buses with push back comfortable seats. Pattaya - Coral Island, Alcazar Show. Bangkok - Half Day Bangkok City Tour (Golden Buddha + Marble Temple + Reclining Buddha), Safari World and Marine park with lunch. Shopping drop at Indira Market. One water bottle of mineral water per person per day. One local English speaking tour guide in Thailand. Two nights' accommodation in 3 star category Hotel in Pattaya. Two nights' accommodation in 3 star category Hotel Bangkok. Travel insurance (Age below 60 years only). Photo (35 x 40 mm in size, white background, 80 per cent face, matt finish, without spectacles. Last six month bank statement (sealed and signed by bank). IRCTC's Thailand air tour package does not include any increase in airfare, airport taxes, fuel surcharge, and visa fee. Any room service / minibar shall be chargeable. All kinds of tips to drivers, guides, representative, fuel surcharge, etc are excluded from IRCTC's Thailand package. Any increase in rate of exchange leading to an increase in surface transportation and land arrangements, which may come into effect prior to the departure is excluded. The tour price is subject to increase without notice if this rate changes substantially prior to departure. Any expenses of personal nature such as laundry expenses, wines, mineral water, food and drinks are not in the regular menus provided by IRCTC. Anything not included in the inclusions is excluded from the package. All arrangements made by IRCTC are in the capacity of an agent. It will not be responsible for any kind of emergency such as landslide, strike, curfew, accidents, injuries, delayed or cancelled flights, etc. IRCTC is offering a host of domestic and international tours travellers. Some of the destinations being covered by IRCTC packages are: Nepal, Vaishnodevi, Bhutan, Courtallam, and Ooty among others. IRCTC has also recently made available pre-loaded food menus and point of sale machines on 25 trains.